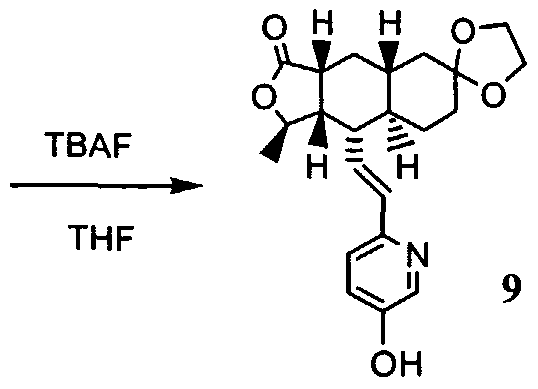 Vorapaxar (formerly SCH 530348) is a thrombin receptor (protease-activated receptor, PAR-1) antagonist based on the natural product himbacine. Discovered by Schering-Plough and currently being developed by Merck & Co., it is an experimental pharmaceutical treatment for acute coronary syndrome chest pain caused by coronary artery disease. In January 2011, clinical trials being conducted by Merck were halted for patients with stroke and mild heart conditions. In a randomized double-blinded trial comparing vorapaxar with placebo in addition to standard therapy in 12,944 patients who had acute coronary syndromes, there was no significant reduction in a composite end point of death from cardiovascular causes, myocardial infarction, stroke, recurrent ischemia with rehospitalization, or urgent coronary revascularization. However, there was increased risk of major bleeding. A trial published in February 2012, found no change in all cause mortality while decreasing the risk of cardiac death and increasing the risk of major bleeding. 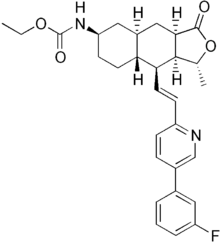 SCH-530348 is a protease-activated thrombin receptor (PAR-1) antagonist developed by Schering-Plough and waiting for approval in U.S. for the oral secondary prevention of cardiovascular events in patients with a history of heart attack and no history of stroke or transient ischemic attack. The drug candidate is being investigated to determine its potential to provide clinical benefit without the liability of increased bleeding; a tendency associated with drugs that block thromboxane or ADP pathways. In April 2006, SCH-530348 was granted fast track designation in the U.S. for the secondary prevention of cardiovascular morbidity and mortality outcomes in at-risk patients. Vorapaxar was recommended for FDA approval on January 15, 2014. Vorapaxar Sulfate (SCH 530348) a thrombin receptor (PAR-1) antagonist for the prevention and treatment of atherothrombosis. 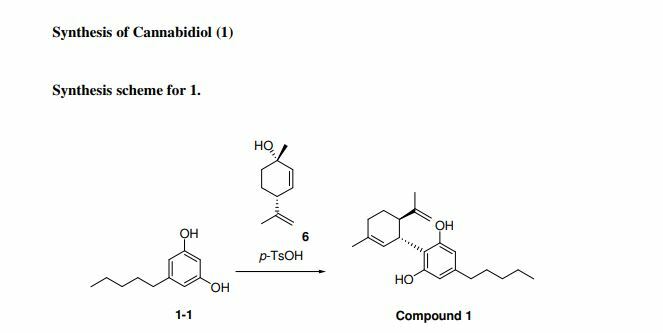 Himbacine is an alkaloid muscarinic receptor antagonist displaying more potent activity associated with M2 and M2 subtypes over M1 or M3. 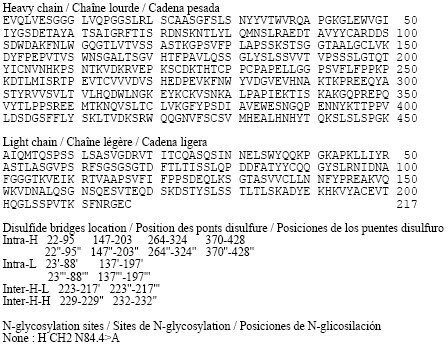 Observations show himbacine bound tightly to various chimeric receptors in COS-7 cells as well as possessed the ability to bind to cardiac muscarinic receptors allosterically. 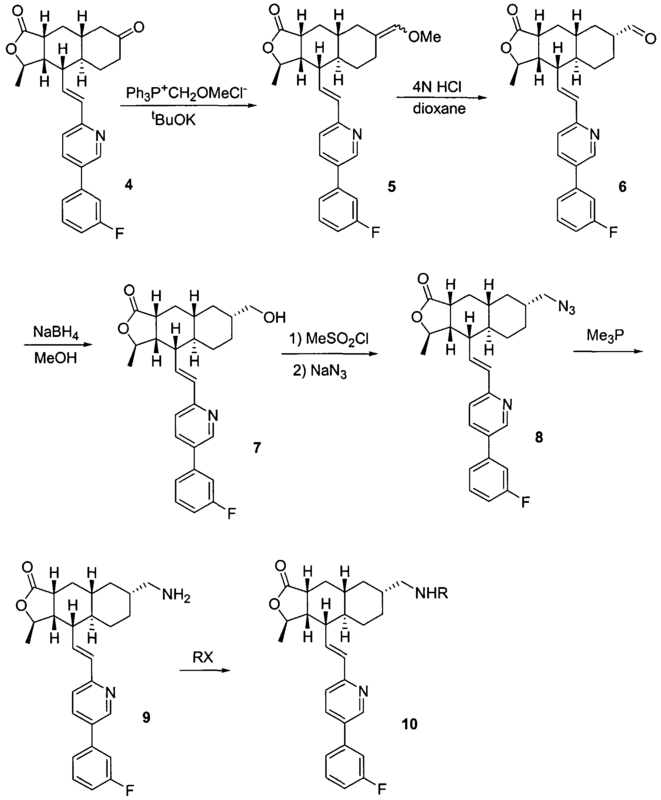 Recent studies have produced series of thrombin receptor (PAR1) antagonists derived from himbacine Himbacine is an inhibitor of mAChR M2 and mAChR M4. Solubility: Soluble in ethanol (50 mg/ml), methanol, and dichloromethane. Insoluble in water. 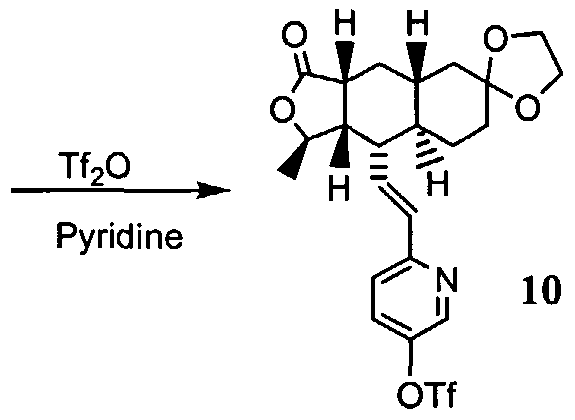 To a solution of compound 9 (250 mg, 0.65 mmol) in pyridine (5 ml) C(O)Oled to 0 °C was added Tf2O (295 μL, 2.1 mmol). The reaction mixture was stirred overnight at rt. Standard aqueous work-up followed by column chromatography afforded product 10 (270 mg, 80%). 1HNMR (CDCI3): δ 1.15-1.55 (m, 6H), 1.41 (d, J= 6 Hz, 3H), 1.70-1.82 (m, 3H), 1.85-1.90 (m, 1 H), 2.36 (m, 2H), 2.69 (m, 1 H), 3.91 (m, 4H), 4.75 (m, 1 H), 6.42-6.68 (m, 2H), 7.25 (m, 1 H), 7.55 (m, 1 H), 8.49 (d, J= 2.8 Hz, 1 H). Compound 11 (445 mg, 0.96 mmol) was dissolved in a mixture of acetone (10 ml) and 1 N HCI (10 ml). The reaction mixture was heated at 50 °C for 1 h.
Compound α-13 (300 mg, 0.71 mmol) was dissolved in CH2CI2 (10 ml) followed by addition of Et3N (0.9 ml). The reaction mixture was C(O)Oled to 0 °C and ethyl chloroformate (0.5 ml) was added. The reaction mixture was stirred at rt for 1 h. The reaction mixture was directly separated by preparative TLC (EtOAc/ hexane, 1 :1) to give the title compound (14) VORAPAXAR (300 mg, 86%). MS m/z 493 (M+1). HRMS Calcd for C29H34N2O4F (M+1 ): 493.2503, found 493.2509. Yield: 12.7 g, (90%). m.p. 104.90C (DSC onset point). 1H NMR (CDCl3) δ 8.88 (d, J = 2.4 Hz, IH), 8.10 (dd, J = 8.2, 2.4 Hz, IH), 7.64 (IH), 7.61 (d, J = 8.8 Hz, IH), 7.55 (m, J = 8.2, 6.2 Hz, IH), 7.51 (d, J = 8.0 Hz, IH), 7.25 (dt, J = 9.0, 2.3 Hz, IH), 7.08 (d, J = 8.0 Hz, IH), 6.68 (dd, J = 15.4, 9.4 Hz, IH), 6.58 (d, J = 9.6 Hz, IH), 4.85 (dd, J = 14.2, 7.2 Hz, IH), 3.95 (dd, J = 14.2, 7.1 Hz, 2H), 3.29 (m, IH), 2.66 (m, J = 12.0, 6.4 Hz, IH), 2.33 (m, 2H), 1.76 (m, 4H), 1.30 (d, J = 5.6 Hz, 3H), 1.19 (m, 4H), 1.14 (t, J = 7.2 Hz, 3H), 0.98 (m, IH), 0.84 (m, IH). MS (EI) m/z: calcd. 492, found 492. Compound IA (5 g) was dissolved in about 25 mL of acetonitrile. The solution was agitated for about 10 minutes and then heated to about 50 0C. About 6 mL of 2M sulfuric acid in acetonitrile was added into the heated reaction mixture. The solid salt of Compound A precipitated out during the addition of sulfuric acid in acetonitrile. After addition of sulfuric acid solution, the reaction mixture was agitated for 1 hour before cooling to room temperature. The precipitated solid was filtered and washed with about 30 mL of acetonitrile. The wet solid was dried under vacuum at room temperature for 1 hour and at 80 0C for about 12 hours to provide about 5 g white solid (yield 85%). m.p. 217.0 0C. 1H NMR (DMSO) 9.04 (s, IH), 8.60 (d, J = 8.1 Hz, IH), 8.10 (d, J = 8.2 Hz, IH), 7.76 (d, J = 10.4, IH), 7.71 (d, J = 7.8 Hz, IH), 7.60 (dd, J = 8.4, 1.8 Hz, IH), 7.34 (dd, 8.4, 1.8 Hz, IH), 7.08 (d, J = 8.0 Hz, IH), 7.02 (m, IH), 6.69 (d, J = 15.8 Hz, IH), 4.82 (m, IH), 3.94 (dd, J = 14.0, 7.0 Hz, 2H), 3.35 (brs, IH), 2.68 (m, IH), 2.38 (m, 2H), 1.80-1.70 (m, 4H), 1.27 (d, J = 5.8 Hz, 3H), 1.21 (m, 2H), 1.13 (t, J = 7.0 Hz, 3H), 0.95 (m, IH, 0.85 (m, IH). MS (EI) m/z calcd. 590, found 492. 19.5 g of a beige colored solid of Compound 6. (Yield: 66%) m.p. 169.30C. IH NMR (CD3CN) δ 9.74 (d, J = 3.03 Hz, IH), 5.42 (br, IH), 4.69 (m, IH), 4.03 (q, J = 7.02 Hz, 2H), 3.43 (qt, J = 3.80, 7.84 Hz, IH), 2.67 (m, 2H), 2.50 (dt, J = 3.00, 8.52 Hz, IH), 1.93 (d, J = 12.0 Hz, 2H), 1.82 (dt, J = 3.28, 9.75 Hz, 2H), 1.54 (qd, J = 3.00, 10.5 Hz, IH), 1.27 (d, J = 5.97 Hz, 3H), 1.20 (m, 6H), 1.03 – 0.92 (m, 2H). MS (ESI) m/z (M++1): calcd. 324, found 324. Compound 8 (1.07 mol, from Synergetica, Philadelphia, Pennsylvania). 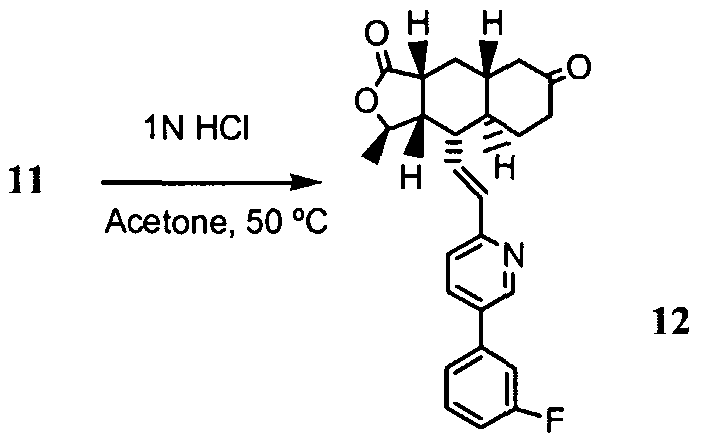 THF (1000 mL) was added to dissolve Compound 8. After the solution was cooled to -80 0C to -50 0C, 2.0 M LDA in hexane/THF(1175 mL, 2.2 eq) was added while maintaining the batch temperature below -50 0C. After about 15 minutes of agitation at -800C to -50 0C, diethyl chlorophosphate (185 mL, 1.2 eq) was added while maintaining the batch temperature below -50 0C. The mixture was agitated at a temperature from -800C to – 50 0C for about 15 minutes and diluted with n-heptane (1000 mL). This mixture was warmed up to about -35 0C and quenched with aqueous ammonium chloride (400 g in 1400 mL water) at a temperature below -10 0C. This mixture was agitated at -150C to -10 0C for about 15 minutes followed by agitation at 150C to 25 0C for about 15 minutes. The aqueous layer was split and extracted with toluene (400 mL). The combined organic layers were extracted with 2N hydrochloric acid (700 mL) twice. The product-containing hydrochloric acid layers were combined and added slowly to a mixture of toluene (1200 mL) and aqueous potassium carbonate (300 g in 800 mL water) at a temperature below 30 0C. The aqueous layer was extracted with toluene (1200 mL). The organic layers were combined and concentrated under vacuum to about 600 ml and filtered to remove inorganic salts. To the filtrate was added n-heptane (1000 ml) at about 55 0C. The mixture was cooled slowly to 40 0C, seeded, and cooled further slowly to -10 0C. The resulting slurry was aged at about -10 0C for 1 h, filtered, washed with n- heptane, and dried under vacuum to give a light brown solid (294 g, 85% yield), m.p. 52 0C (DSC onset point).1H NMR (CDCl3) δ 8.73 (d, J = 1.5 Hz, IH), 7.85 (dd, Ji = 8.0 Hz, J2 = 1.5 Hz, IH), 7.49 (dd, Ji = 8.0 Hz, J2 = 1.3 Hz, IH), 7.42 (m, IH), 7.32 (d, J = 7.8 Hz, IH), 7.24 (m, IH), 7.08 (dt, Ji = 8.3 Hz, J2 = 2.3 Hz, IH), 4.09 (m, 4H), 3.48 (d, J = 22.0 Hz, 2H), 1.27 (t, J = 7.0 Hz, 6H). MS (ESI) for M+H calcd. 324, found 324. To a three-necked round bottomed flask equipped with an agitator, thermometer and a nitrogen inlet tube was added a solution of Compound 4 in aqueous ethanol (100 g active in 2870 ml). The solution was concentrated to about 700 ml under reduced pressure at 350C to 40°C to remove ethyl alcohol. The resultant homogeneous mixture was cooled to 200C to 300C and its pH was adjusted to range from 12 to 13 with 250 ml of 25% sodium hydroxide solution while maintaining the temperature at 20-300C. Then 82 ml of ethyl chloroformate was slowly added to the batch over a period of 1 hour while maintaining the batch temperature from 200C to 300C and aged for an additional 30 minutes. After the reaction was judged complete, the batch was acidified to pH 7 to 8 with 10 ml of concentrated hydrochloric acid (37%) and 750 ml of ethyl acetate. The pH of the reaction mixture was further adjusted to pH 2 to 3 with 35% aqueous hydrochloric acid solution. The organic layer was separated and the aqueous layer was extracted again with 750 ml of ethyl acetate. The combined organic layers were washed twice with water (200 ml) . Compound 5 was isolated from the organic layer by crystallization from ethyl acetate and heptane mixture (1: 1 mixture, 1500 ml) at about 700C to 80 0C. The solid was filtered at 500C to 60 °C, washed with heptane and then dried to provide an off-white solid (yield 50%). m.p. 197.7°C. 1HNMR (CD3CN) δ 5.31 (brs, IH), 4.67 (dt, J = 16.1, 5.9 Hz, IH), 4.03 (q, J = 7.1 Hz, 2H), 3.41 (m, IH), 2.55 – 2.70 (m, 2H), 1.87 – 1.92 (m, IH), 1.32 – 1.42 (m, IH), 1.30 (d, J = 5.92 Hz, 3H), 1.30 – 1.25 (m, 6H), 0.98 (qt, J = 15.7, 3.18 Hz, 2H). MS (ESI) M+l m/z calculated 340, found 340. 7.4 kg of ammonium formate was dissolved in 9L of water at 15- 250C, and then cooled to 0-100C. 8.9 kg of Compound 3 was charged at 0-150C followed by an addition of 89L of 2B ethyl alcohol. The batch was cooled to 0-50C 0.9 kg of 10% Palladium on carbon (50% wet) and 9 L of water were charged. The batch was then warmed to 18-280C and agitated for 5 hours, while maintaining the temperature between 18-28 0C. After the reaction was judged complete, 7 IL of water was charged. The batch was filtered and the wet catalyst cake was then washed with 8OL of water. The pH of the filtrate was adjusted to 1-2 with 4N aqueous hydrochloric acid solution. The solution was used in the next process step without further isolation. The yield is typically quantiative. m.p. 216.40C. IH NMR (D2O+1 drop HCl) δ 3.15 (m, IH), 2.76 (m, IH), 2.62 (m, IH), 2.48 (dd,J-5.75Hz, IH), 1.94 (m, 2H), 1.78 (m, 2H), 1.38 (m, 2H), 1.20 (m, 6H), 1.18 (m, IH), 0.98 (q,J=2.99Hz, IH). To a reactor equipped with an agitator, thermometer and nitrogen, were added about 10.5 kg of 2B, 68 L of acetone and 68 L of IN aqueous hydrochloric acid solution. The mixture was heated to a temperature between 50 and 600C and agitated for about 1 hour before cooling to room temperature. After the reaction was judged complete, the solution was concentrated under reduced pressure to about 42 L and then cooled to a temperature between 0 and 50C. The cooled mixture was agitated for an additional hour. The product 3 was filtered, washed with cooled water and dried to provide an off-white solid (6.9 kg, yield 76%). m.p. 2510C. Η NMR (DMSO) δ 12.8 (s, IH), 4.72 (m, J = 5.90 Hz, IH), 2.58 (m, 2H), 2.40 (m, J = 6.03 Hz, 2H), 2.21 (dd, J = 19.0, 12.8 Hz, 3H), 2.05 (m, IH), 1.87 (q, J = 8.92 Hz, IH), 1.75 (m, IH), 1.55 (m, IH), 1.35 (q, J = 12.6 Hz, IH), 1.27 (d, J = 5.88 Hz, 3H). MS (ESI) M+l m/z calcd. 267, found 267. 2004182713 A2 20040702. 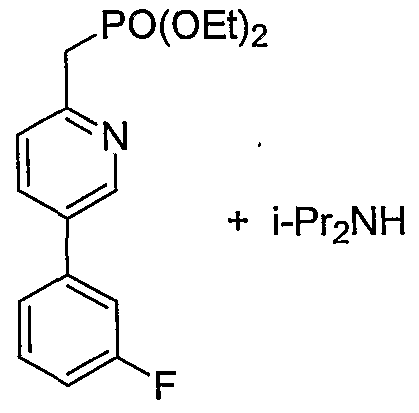 Compound 8 is subsequently reacted with a phosphate ester, such as a dialkyl halophosphate, to yield Compound 7A. Diethylchlorophosphate is preferred. The reaction is preferably conducted in the presence of a base, such as a dialkylithium amide, for example diisopropyl lithium amide. 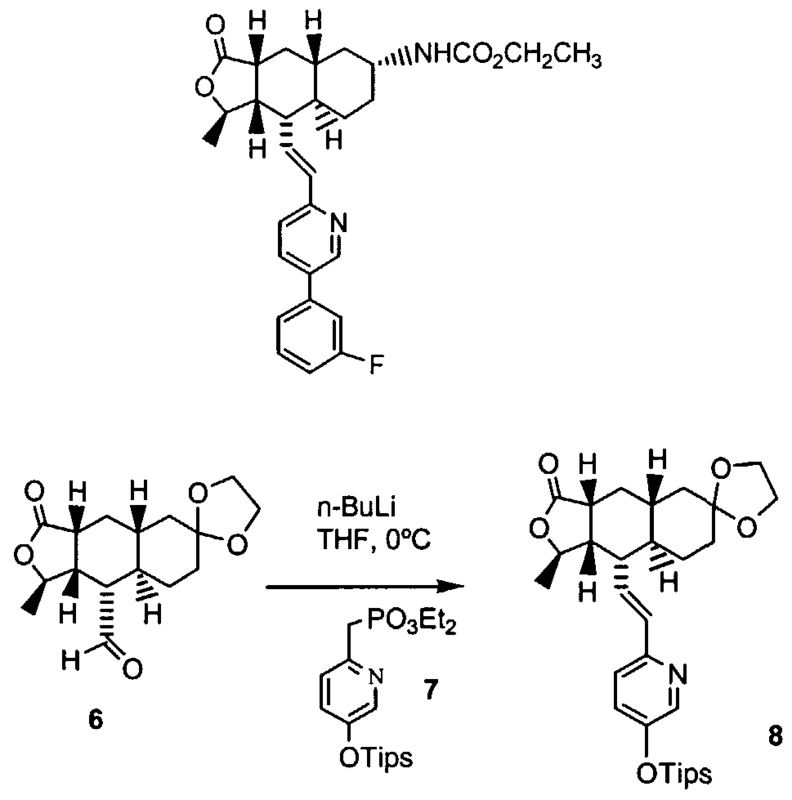 The discovery of an exceptionally potent series of thrombin receptor (PAR-1) antagonists based on the natural product himbacine is described. Optimization of this series has led to the discovery of 4 (SCH 530348), a potent, oral antiplatelet agent that is currently undergoing Phase-III clinical trials for acute coronary syndrome (unstable angina/non-ST segment elevation myocardial infarction) and secondary prevention of cardiovascular events in high-risk patients. 4 (300 mg, 86%). MS m/z 493 (M+1). []D20 6.6 (c 0.5, MeOH). 6.55-6.63 (m, 2 H), 7.07-7.12 (m, 1 H), 7.26-7.29 (m, 2 H), 7.34 (d, J = 8.05 Hz, 1 H), 7.41-7.46 (m, 1 H), 7.80-7.82 (m, 1 H), 8.76-8.71 (m, 1 H). Samuel Chackalamannil; Wang, Yuguang; Greenlee, William J.; Hu, Zhiyong; Xia, Yan; Ahn, Ho-Sam; Boykow, George; Hsieh, Yunsheng et al. (2008). “Discovery of a Novel, Orally Active Himbacine-Based Thrombin Receptor Antagonist (SCH 530348) with Potent Antiplatelet Activity”. 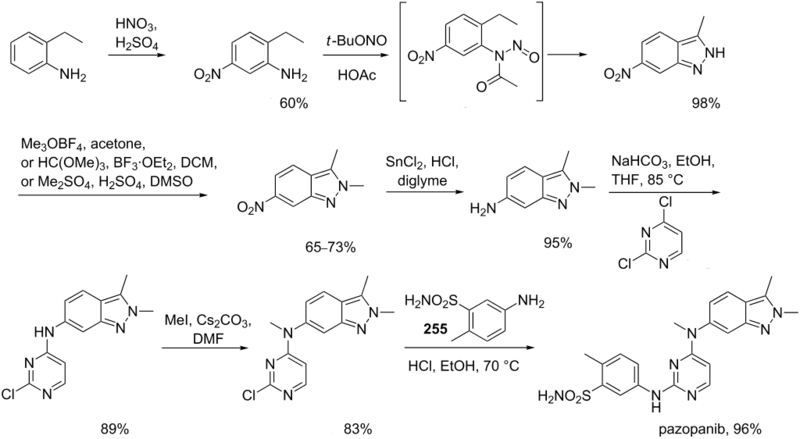 Journal of Medicinal Chemistry 51 (11): 3061–4.doi:10.1021/jm800180e. PMID 18447380. Tricoci et al. (2012). “Thrombin-Receptor Antagonist Vorapaxar in Acute Coronary Syndromes”. New England Journal of Medicine 366 (1): 20–33.doi:10.1056/NEJMoa1109719. PMID 22077816. Morrow, DA; Braunwald, E; Bonaca, MP; Ameriso, SF; Dalby, AJ; Fish, MP; Fox, KA; Lipka, LJ; Liu, X; Nicolau, JC; Ophuis, AJ; Paolasso, E; Scirica, BM; Spinar, J; Theroux, P; Wiviott, SD; Strony, J; Murphy, SA; TRA 2P–TIMI 50 Steering Committee and, Investigators (Apr 12, 2012). “Vorapaxar in the secondary prevention of atherothrombotic events.”. The New England Journal of Medicine 366 (15): 1404–13. doi:10.1056/NEJMoa1200933.PMID 22443427. “Merck Statement on FDA Advisory Committee for Vorapaxar, Merck’s Investigational Antiplatelet Medicine”. Merck. Retrieved 16 January 2014. Stu Borman (2005). “Hopes Ride on Drug Candidates: Researchers reveal potential new medicines for thrombosis, anxiety, diabetes, and cancer”. Chemical & Engineering News 83 (16): 40–44. By DR ANTHONY MELVIN CRASTO Ph.D in FAST TRACK FDA, Uncategorized on January 17, 2014 .